We started wandering the country with an RV in 2000 and are still going as much as possible although we now stay in motels. In those earlier days, it was fun to occasionally encounter a mural on some building. It is still fun to see them, but now they have become quite common. Murals usually portray the history of the community and perhaps some special events. 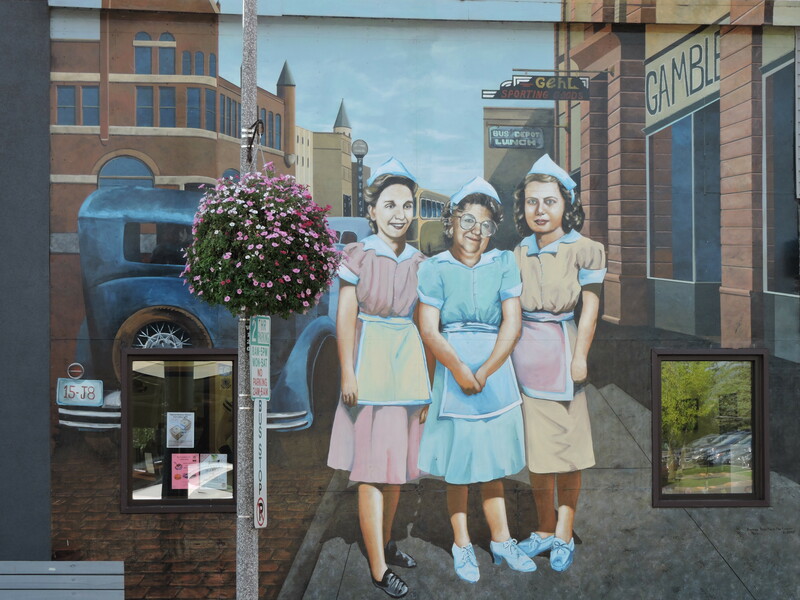 The murals in Ashland, Wisconsin are special because frequently they portray people who lived in this small community. Some had an historical role in the town, but most are just people who contributed to everyday life. If you enjoy murals, you might also like to click here to see those in the small town of Lake Placid, Florida. This entry was posted in Travel Logs and tagged Ashland Wisconsin, Murals, Painting, Portraits, Travel, Wisconsin. Bookmark the permalink. Yes, they’re more common, but I’m happy that’s so. Liked the ones you have caught. Amazing how underrated muralists are for the most part (Michelangelo and de Rivera obvious exceptions to the rule). Being a confirmed studio artist, and having done a large scale mural I have nothing but admiration, and a little awe for most if these people. Some great stuff here Ray! I enjoyed this entry about these murals very much! They are stunning, as well as the ones in Florida. Beautiful murals and so lifelike that it is surreal. Loved them.